Monica Eaton-Cardone has demonstrated a uniquely entrepreneurial spirit from an early age. She began her first job at the age of 12 and launched her first business while still a teenager growing up in rural Idaho. She went on to lead a number of successful business ventures in a variety of industries, including design, direct marketing, and IT. Monica attributes her business success to a combination of the right knowledge and skill set, as well as hard work and the determination to succeed. However, it was while working as an e-commerce merchant that a seemingly unmanageable challenge led Monica to her greatest opportunity yet. When her business was assaulted by illegitimate transaction disputes, a practice known as friendly fraud, Monica struggled to find an effective management strategy. Unfortunately, the service providers available at the time failed to generate ROI and actually made the situation worse. As a result, Monica decided to take matters into her own hands by creating the solution that had been missing all along. Banks observed the success of this newly-established chargeback expert and requested that Monica share her expertise with other merchants. This was the beginning of Chargebacks911—and Monica’s company has remained an industry leader ever since. 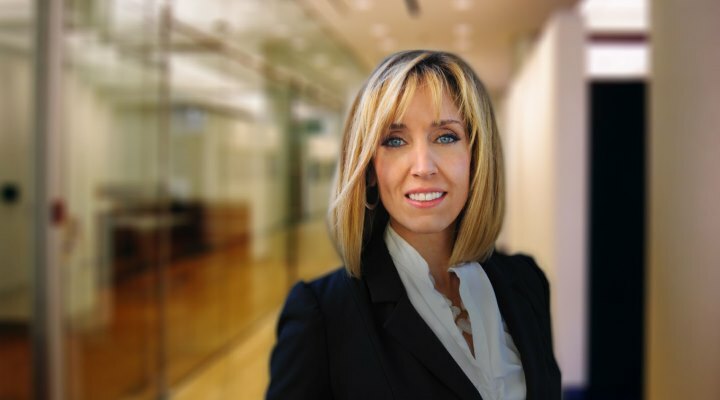 Today, Monica is the COO of Chargebacks911, as well as CIO of its parent company, Global Risk Technologies. She lives in Clearwater, Florida, with her husband Gary and their two daughters. As an online merchant, I had the first-hand experience with chargebacks. They seemed to come out of nowhere and caught me completely off guard. As a result, I had no coping mechanism. Chargeback rates spiked and my bank grew anxious about the increased risk associated with my business—and the bank’s potential liability. I lost my payment processing capabilities, was faced with the possibility of bankruptcy and doubted the sustainability of my business. I tried to get professional help, but none of the solutions out there generated significant results. Because I couldn’t find a viable chargeback management solution, I decided to create my own. I poured all my effort into becoming a self-taught chargeback expert. I analyzed network regulations, consulted industry experts, and did all I could to figure out the best way to effectively mitigate risk. Eventually, all my hard work paid off. I got the business’s chargeback issues under control. And as an added bonus, my self-taught education turned me into one of the very few people on this planet who actually understood what it takes to manage chargebacks. News about my new-found expertise spread quickly through the industry. One day, an acquiring bank called and asked if I’d help one of their merchants mitigate chargebacks. My strategies had worked so well for my own business, could I help others? I originally offered my services as a consulting business. However, it quickly became obvious that merchants needed much more than just advice. They needed a professional to manage things on their behalf. That was the beginning of Chargebacks911. I gave the business that name because it was exactly what I had hoped for as a merchant—a professional to call in emergency situations who was equipped and willing to help with just a moment’s notice. A few months after we launched the business, The New York Times called for an interview. As they say, the rest is history! Chargebacks911 is a risk mitigation and chargeback management firm. Our ultimate goal is to help online merchants optimize profitability through sustainable growth. Chargebacks911 does this through a comprehensive approach to management that addresses both sides of the chargeback issue. We prevent all preventable chargebacks and fight illegitimate cases of chargeback fraud. Chargebacks911 is a dynamic company. Because fraud threats and payment industry technologies are always evolving, we need to be equally adaptable and innovative. Chargebacks911 specializes in recognizing needs and creating appropriate solutions. As such, we have a very extensive suite of products and are constantly adding new solutions. It is through these proprietary techniques that we help merchants ensure the longevity of their business by reducing risk, cutting costs, recovering revenue, enhancing the merchant-issuer relationship, and improving client retention. Chargebacks911 offers various service options. Each level of service has a different pricing structure, allowing merchants to select a customized package that adequately addresses their individual needs. The launch of our business was very unique. I was essentially enticed into this venture because customers demanded assistance. We didn’t have to generate interest in our services; the interest was there before we even began. As such, we were able to turn a profit within the first six months. Shortly after we got started, our sales dropped because of industry conversations regarding some hypothetical changes. We were faced with the reality of cutting staff and scaling back. We actually came up with a strategy that turned into a new service, which addressed a larger industry complication and would withstand any proposed changes to the industry. We didn’t end up cutting jobs, rather we added more staff! When my pre-Chargebacks911 e-commerce business lost its payment processing capabilities, I went searching for a new merchant account. I had a hard time convincing banks to accept me because of the perceived risk of chargebacks. Ironically, my very first Chargebacks911 client was a referral from one of the acquiring banks who refused to do business with me as an e-commerce merchant. Apparently, the financial institution realized that it was better for merchants to manage their risk than simply discontinue services. One strategy that’s worked very well for us is offering free trials of our service. Potential clients are able to ‘test drive’ our products and experience our success first-hand. We also guarantee results and offer paid-on-performance options. We recently accepted a new client that greatly increased our production demands. Until we were able to hire additional staff to cover our needs, I had to ask our existing employees to put in extra hours. I knew I was taking them away from their daily responsibilities, meaning they’d eventually have to play catch-up on everything that got pushed to the back burner. And it wasn’t easy to pass out assignments that were outside their skillset, even if it was a temporary situation. It was tough to push everyone outside their comfort zone, but I was so incredibly proud of how everyone pitched in. Ultimately, our team bonded and became that much stronger. I’ve always said you need to create success. Success, in my mind, is a verb. It is an ongoing action. Success is not simply a decision to not fail. It is a living, breathing commitment to innovation, adaptability, and hard work. Attitude will take you much farther in life than inherent intelligence. Hard work, determination, perseverance, tenacity, and a no-excuses policy are the characteristics that have propelled me forward from a very young age. As the old saying goes, as long as you’ve got passion, faith, and are willing to work hard, you can do anything you want in this life. I attended an industry conference and witnessed Tim Hopkins, a senior business leader at MasterCard, explain that there are really only two reasons for legitimate chargebacks—merchant error and criminal fraud. He went on to explain the illegitimate use for chargebacks as a friendly fraud. This was a very significant moment because Mr. Hopkin’s comments represented a pivotal change for the industry, one that I’ve personally been advocating for since 2010. To see a decision maker, one that I have tremendous respect for specifically, reach this reality is incredibly motivating and promising. It’s strange, but what I look forward to the most is the unknown! Our business thrives on innovation. In fact, we live or die by it. If we can’t adapt, we won’t stay competitive—and I love that idea. I look forward to the new challenges that are in store for the payments industry. Identifying and addressing weaknesses is one of our specialties. Considering how much we’ve been able to accomplish in such a short time, I can’t wait to see what we’ll confront in the years ahead. One of my all-time favorites is The 10X Rule by Grant Cardone (who just happens to be my brother-in-law). This book grabs you by the collar and doesn’t let go! What I love about it is that it challenges you to never settle for just “what works”—you have to take extreme action if you want to see extreme results. Agile Project Management with Kanban by Eric Brechner was another powerful read. Since picking up this book last year, I’ve fully embraced the concept and incorporated the author’s ideas into my own business model. We were previously employing scrum methodology, but it wasn’t the right fit. I absolutely love the efficiency of Kanban. This book does a great job of explaining the model’s principles, with plenty of practical examples to illustrate. A 10-foot long white board for carrying out the Kanban organization strategy! Our entire team comes together every morning and we gather around our comprehensive organizational chart. This management strategy—and the tools we’ve implemented to make it happen—help us prepare for a day of efficiency and productivity. Not being willing to change. We live in a dynamic world; therefore, in order to succeed, you have to constantly push forward and strive for greater heights. You can’t simply coast by and hope to do alright by remaining static, because by failing to adapt and move ahead, you’re actually slipping backward. As an entrepreneur, it’s vital that you not just adapt to your environment, but push ahead to create an environment for your product. It takes a tireless dedication to change and innovation, but your efforts will be constantly rewarded as you grow and reach new levels beyond what you dreamed possible.